The Charles M. Harper Center serves as The Booth School of Business for the University of Chicago. 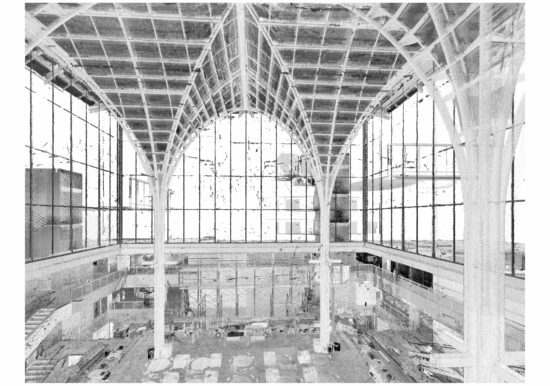 The building was designed by architect Rafael Viñoly and completed in 2004 on the Hyde Park Campus. 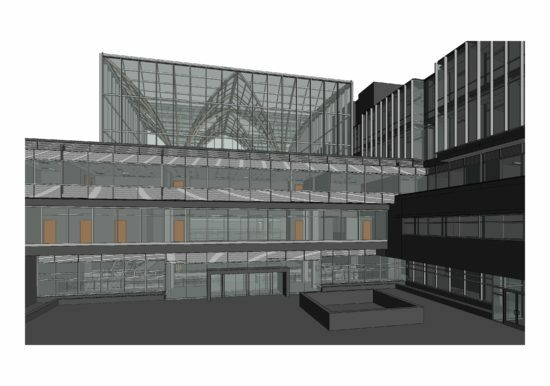 The building houses classrooms and study areas, a 3,530 square foot student lounge, three (3) outdoor terraces, a dining hall, and 170 parking spaces. 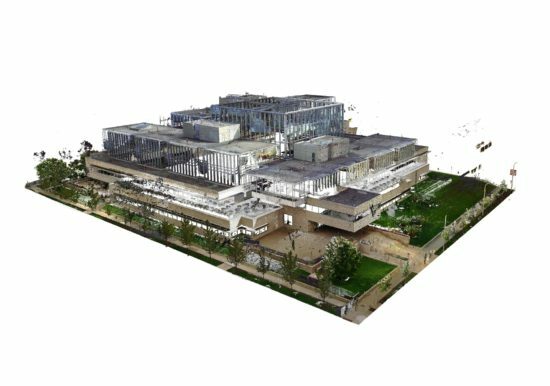 In 2016, ZS performed laser scanning of the exterior and interior of the Harper Center. The laser scan data was registered (i.e. 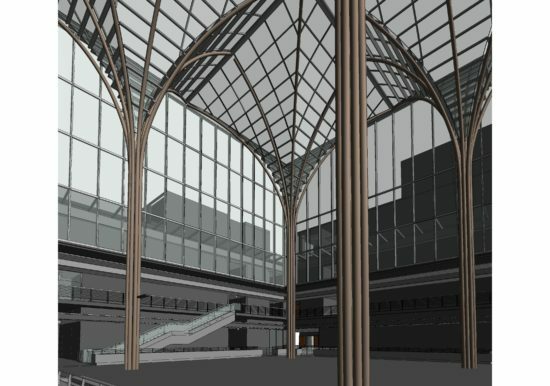 aligned) to the University’s coordinate system by utilizing surveyed control points prior to create a “point cloud.” An as-built Building Information Model (BIM) was then created by using the point cloud as a 3-dimensional underlay. 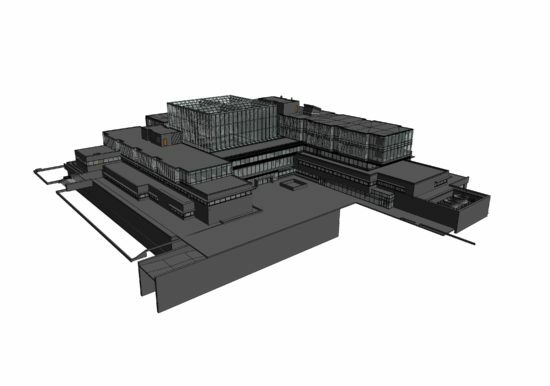 The resulting BIM will be utilized by the University for streamlining their facility management operations.